The NVIDIA GeForce GTX 285M is a high-end graphic card of the 200M series based on the G92b core and most similar to the Desktop GeForce 9800 GTX+. Therefore the 285M cannot be directly compared to the Desktop GTX 285. 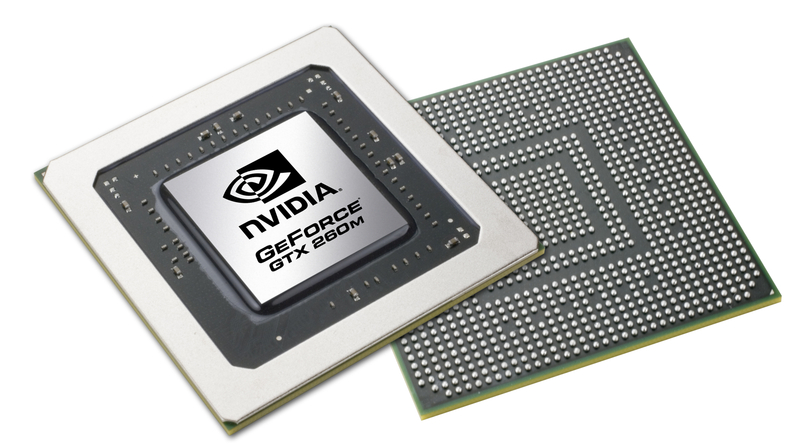 The chip is produced in a 55nm fabrication process, which is a step up from the 65nm process of the GTX 9800M. Its 128 pipelines are all enabled as well, as opposed to only 112 pipelines of the GTX 9800M. Compared to the GTX 280M, the GTX 285M features a slightly higher clock speed and is therefore only marginally faster (3-6% on average). An innovation in the 200M series is the much accelerated switch times if using Hybrid Power (lower than 1 second compared to 7 seconds at the 9800M GTX). Similar to all other cards with native DirectX 10 capabilities, the GeForce GTX 285M renders 3D images using "Unified Shaders". In other words, there are no longer any more dedicated pixel shaders or vertex shaders. Instead, new stream processors (128 of them in the 285M) now process most of the heavy graphics loading that would have otherwise been done by dedicated pixel and vertex shaders. In fact, the shader units are clocked higher than the core chip itself. As previously mentioned, the GTX 285M is about 3-6% faster than the GTX280M due to slightly higher clock speeds. This means that notebooks equipped with the GTX 285M should run all modern and demanding games (as of 2009) in high details and resolutions. Only very demanding games, like Crysis Warhead or Metro 2033, may become unplayable if at maximum graphical settings. Games with PhysX support (e.g., Mirror's Edge) may benefit from improved performance out of the 285M. Still, the Mobility Radeon HD 5870 is arguably a faster and better value single core GPU for laptops. 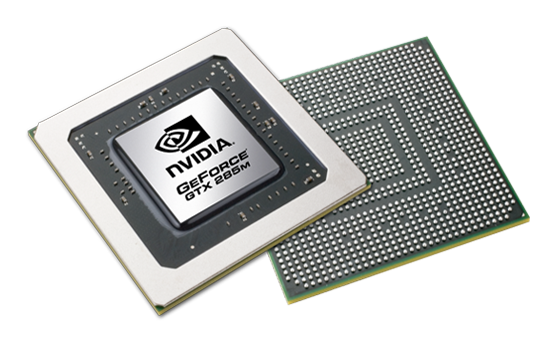 An advantage of the GeForce GTX 285M is the integrated PureVideo HD video processor (VP2). With this software feature, the 285M can assist the CPU in the decoding of H.264-, VC-1-, MPEG2- or WMV9 videos. HybridPower is an Nvidia power-saving technology for Windows Vista used for switching between integrated and dedicated graphics cards. In the future, Nvidia wants this switch to occur automatically with drivers (now known as Optimus). GeForceBoost is not supported with the 285M, as there would be no performance gain in combining the integrated GPU with the dedicated video card. The power consumption can be up to 75 Watts (if including the MXM board and VRAM). As a result, the 285M is usually reserved for larger desktop replacement (DTR) laptops with powerful cooling solutions. In June 2010, the GeForce GTX 480M (mobile Fermi) was announced with a revamped architecture compared to the GTX 285M. Compared to the 285M, the Fermi core will support DirectX 11 and offer better performance at the cost of higher power consumption levels and possibly higher heat output. If compared to desktop graphics cards, the performance of the 285M can be considered somewhere in between the 9800 GT and the 9800 GTX, the latter of which is clocked considerably higher (675/1675/1100 MHz) in comparison.